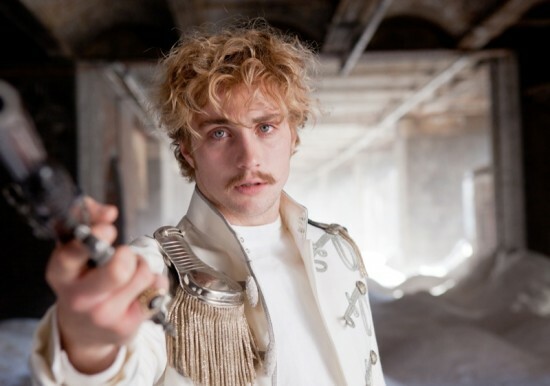 As I expected, Aaron Johnson as Vronsky looks like an immature, sulky teenage boy. What is this? Tolstoy for tweenies? And the hair reminds me of Skeeter in The Help, and not in a good way. 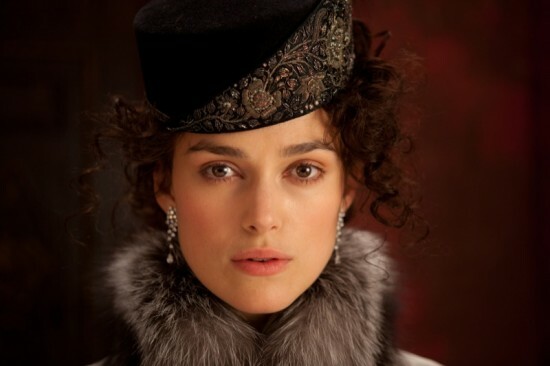 Keira Knightley looks sufficiently tragic as Anna, but let’s wait and see how she does, acting-wise. Okay, I was wrong before, Jude Law does look old enough to play Karenin. The beard helps, and of course the receeding hairline. Wow, I really hadn’t noticed he’s grown so …. mature. Weird, this looks like they are dancing on stage, instead of during a ball or a party. Sophie Marceau in Anna Karenina (1997 film). 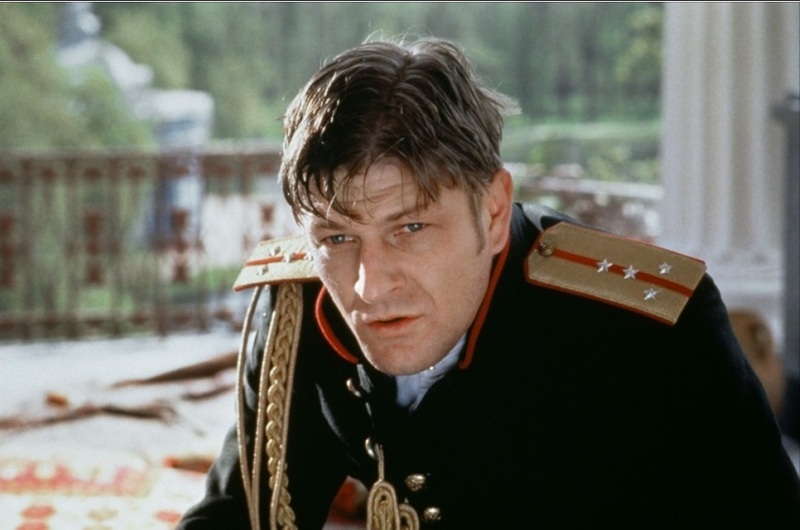 Yup, that’s Sean Bean as Vronsky. Call me shallow, but I’d much, much rather have this Vronsky. Helen McCrory in Anna Karenina (2000 TV miniseries). I have a sudden obsession with Anna Karenina. Apparently there’s a 2000 British miniseries starring Stephen Dillane as Karenin and Mark Strong as Anna’s brother Oblonsky. Ahhhhhhhhhhhhh!!!! I want to watch this ASAP! Anna was played by Helen McCrory (probably most well-known as Cherie Blair in “The Queen”) and Kevin McKidd (Dr Owen Hunt aka Cristina’s husband in Grey’s Anatomy) played Count Vronsky. 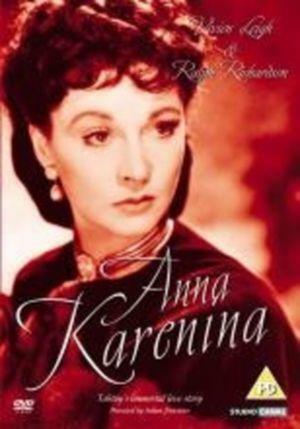 Was looking at the IMDB page for the 2012 Anna Karenina; I can’t find casting info for Nikolai Levin the dying brother. This, plus the fact that Joe Wright casts relatively unknown actors for the parts of Kitty and Levin made me suspect that the movie will be mostly about Anna, Vronsky and Karenin, and ignoring a large part of Levin’s story. Not surprising, I guess, you can’t fit everything in 2+ hours, and once you’ve cast a big star as Anna, you can’t keep moving from her story to someone else’s. I’m looking forward to this, notwithstanding the Keira Knightley factor. There’s Matthew Macfadyen as Anna’s philandering brother, Kelly MacDonald as Dolly his long-suffering wife, Olivia Williams as Vronsky’s mother, even Michelle Dockery in a small part. Not very sold on Jude Law as the older husband (is he that much older than Keira Knightley??) or Aaron Johnson as Vronsky (he looks too young, innocent and wholesome for the part. I can’t remember this, but how old is Vronsky supposed to be? Is he younger than Anna? I don’t think so, right?). I have never heard of the actor and actress playing Kitty and Levin. A bit of a gamble on Joe Wright’s part. Kitty and Levin’s story is almost as important as Anna’s. Of course I will always remember the book fondly as the novel my father tricked me into reading at 17 by describing it as “about a woman who threw herself under a train because her boyfriend didn’t love her anymore”. Oh daddy, how well you know the teenage mind! He just forgot to mention all the pages and pages about Russian agriculture. Gee, thanks a lot, dad! In other news, I don’t understand a world where Keira Knightley is a major movie star who gets all the choice parts like Elizabeth Bennet and Anna Karenina, and Romola Garai mostly just does TV. Even discounting acting talent where Garai has the upper hand (yeah, who cares about that, right? ), Garai is just as lovely and beautiful as Knightley (even more so, IMO). Where’s her Anna Karenina? Hmm, suddenly I’m fantasizing about an “Angel” reunion, minus the crappy storyline and weird, OTT design and directing choices. Michael Fassbender as Count Vronsky! What could be more perfect? Shoot, I would even take him as Levin’s dying brother.